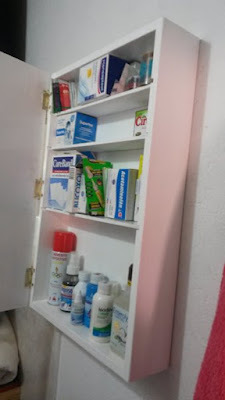 An Englishman in Colombia: Medicine Cabinet completed! The delay in finishing this project was a case of, the waiting game, waiting for paint to dry! 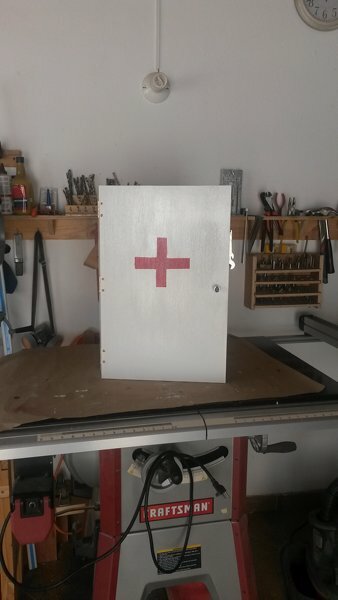 However the pieces went together fine, the paint scheme is different here to the UK, here it is green with white writing, but I like my red cross, so I retained the white with the red cross. 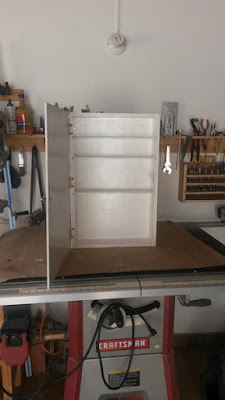 The door I attached with three hinges, but only using 6mm plywood to keep the weight down, I had to use small bolts, which in turn meant I had to drill six recesses in the frame to take the nuts. 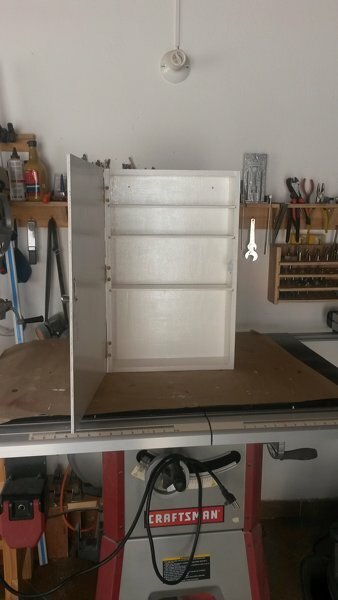 I used a magnetic catch to keep it closed, screwing the magnet to the side frame, and using epoxy to attach the plate to the door, the handle/knob it store bought. The only thing I was surprised at, is that it only just holds all our supplies, I thought there was going to be mega space left over! 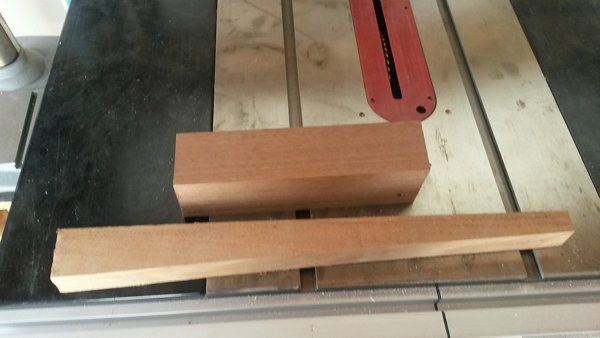 about when the shops are not just down the road. Now for my next project, hopefully these two pieces of scrap wood will do it!...Any ideas what it will be?